Within a week the hill-round-roadway was streaming with pilgrims again! The town had not yet quietened down after Deepam and many stalls were still selling their wares; one day did become a little quieter but then it was all happening again . . . Except that it felt very different . . . The crowd was much less, the people seemed to be mostly village people: healthier, slower, calmer, less talk more walk. 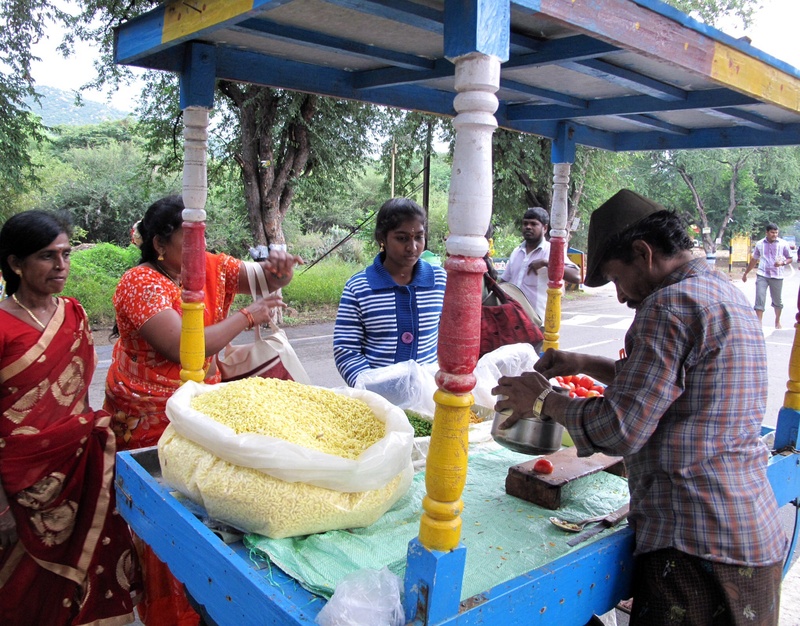 They did patronise the stalls and stands, but in a much more relaxed atmosphere. 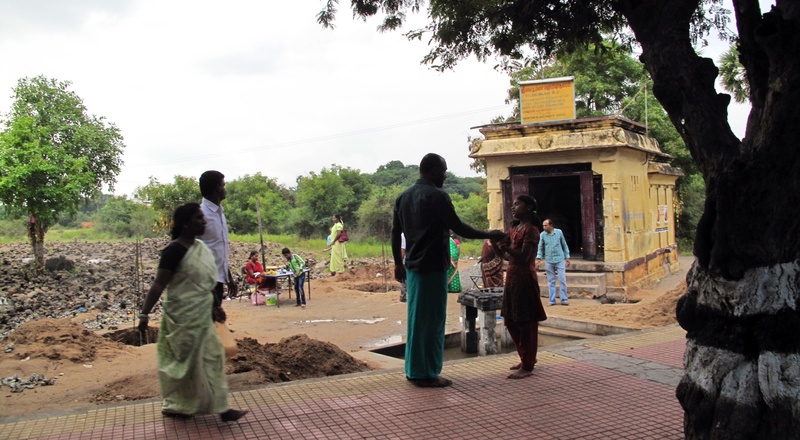 What they were really interested in were the temples and sacred precincts. This was the first day of Margahzi Month, the time of year to concentrate on honouring the Divine. Traditionally at this time of year households would wake early to sing devotional songs; since this season of Winter is the time for the forces of darkness and early morning to dawn is the dark time of day, it is believed the singing protects families from ignorance and evil. In the Age of Kali Yuga, this is especially important and in addition this year on December 15 a particular astrological configuration is taken to potentiate a global paradigm shift – it is the event of the decade. As you know Kali Yuga is the time for escalating ignorance and evil, it seems generally true that these degenerative roots take hold first in the cities and towns. 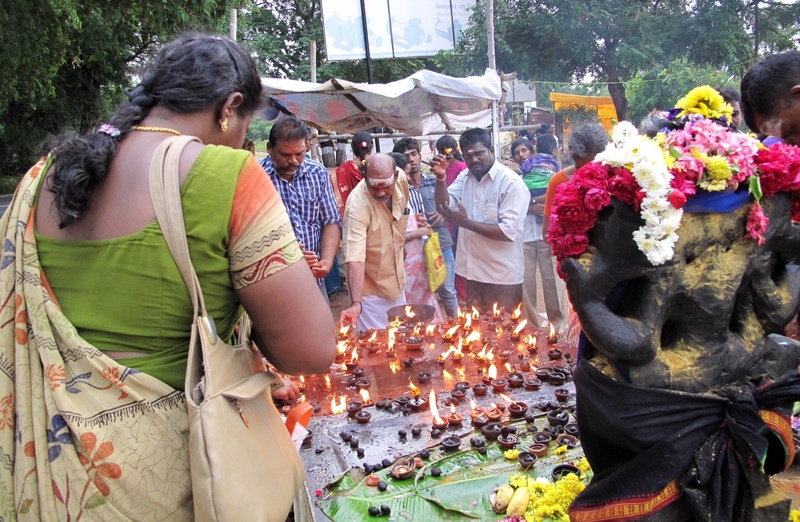 To substantiate this myth the modern urban description of Marghazi is “noisy month” – because instead of waking early and singing devotional songs, households and even temples switch on tape-recordings connected to loud-speakers which blast across rooftops while we all go back to sleep. 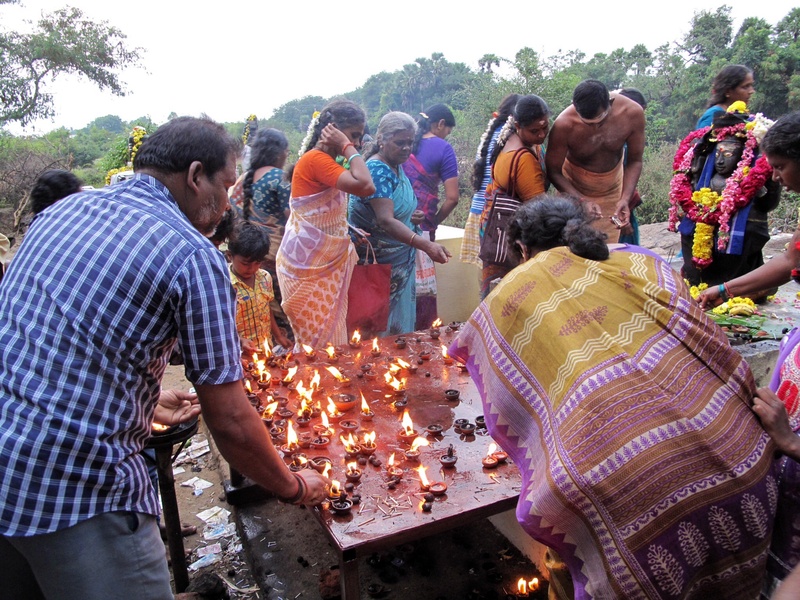 In villages perhaps there still resides some innocence, as suggested by the uncommon predominance of rural folk on this auspicious hill-round-walk for Margahzi, which stunned my mind-of-a-foreigner so much in contrast to the recent Deepam phenomena. This is the final post of this blog called Welcome to Kali Yuga. I hope readers have enjoyed it, learned something and sometimes laughed. The time of this visit home is drawing to an end now, my camera is already packed. 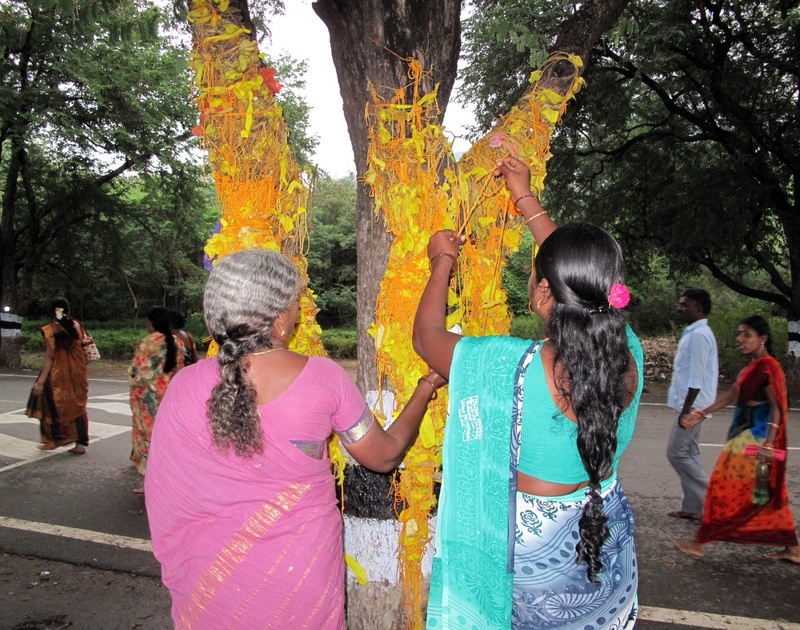 Allow me the irony to end with the last photograph taken: that of lovely ladies hanging icons of their heartfelt wishes on a receptive tree: using marriage chord, the women tie small pieces of cloth to make little hammocks, each of these contains a small rock to symbolise a baby – incentives to god to grant each woman a new baby in the near future. It is of primary importance, you see, that this marvellous life continues into the future. I am an Australian woman dividing time between Arunachala mountain in South India and Coburg in Australia. 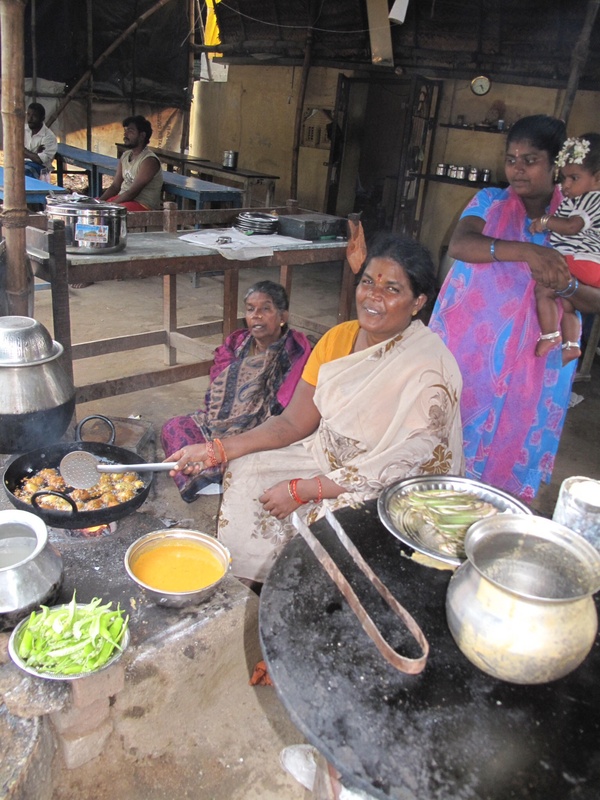 The WP blogs provides creative non-fiction photo reportage posted mostly from around Arunachala Mountain - such as Welcome to Kali Yuga, although Sonagiristories contains some stories set in Australia. Another WP.com site contains watercolours, cartoons, deck of cards, silk banners, hand-made, printed and published books, puppets and so on, under title :THE SECULAR SACRED - images towards an exology of mind. All these WP sites are incorporated in one blog under one title: hinge-pin-press.com. I hope everyone who visits enjoys themselves. Salute!